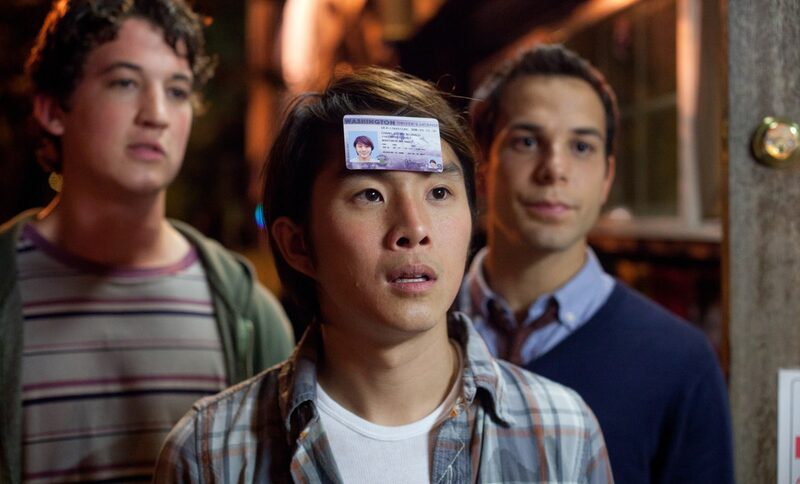 Check Out the Funny Trailer for ’21 and Over’!!! Here is a trailer for a film called ’21 and Over’, which seems like ‘Project X’, ‘Old School’, and ‘The Hangover’ rolled into one. This has potential and hopefully it has a bit of originality to it, more than just shock factor. Synopsis: Straight-A college student Jeff Chang has always done what’s expected of him. But when his two best friends Casey and Miller surprise him with a visit for his 21st birthday, he decides to do the unexpected for a change, even though his critical medical school interview is early the next morning. What was supposed to be one beer becomes one night of chaos, over indulgence and utter debauchery in this outrageous comedy. The Trailer For ‘War Dogs’ Is Here and Hilarious!!! ‘The Hangover III’ Trailer is Here!!! Hangover 2 Has A Poster and A New Full Length Trailer Coming This Week!!! This entry was posted on Monday, November 12th, 2012 at 4:58 pm	and is filed under Film, News. You can follow any responses to this entry through the RSS 2.0 feed. You can skip to the end and leave a response. Pinging is currently not allowed. « Louis CK Will Return to HBO For New Stand-Up Special!!! Clyde, what exactly does a suspicious truck look like?